With the Makinex Mixing Station an 8 hour job was finished the in 2 ½ hours with one less staff member than I would usually use. The Makinex Mixing Station is a definite goer for this industry. The Makinex Mixing Stations we purchased from Makinex have been used hard for the last three months and all I can say is please send me two more! Our guys are fighting over the three stations we have. The guys love how easy it is to mix two or three bags at a time and easily roll out to the floor and pour without any stress or strain. A two man mixing crew with three stations can keep material coming faster than four guys can rake and smooth on an average pour. My boss loves the dramatic increase in productivity and reduction in labour costs over standard bucket pour procedures. By cutting back from a three to two man mixing crew we are saving up to eight hours of labour every time we pour, as well as covering larger areas with fewer cold joints. Thanks for the great product! We purchased the Mixing Station about 2 years ago and it paid for itself on the first job. 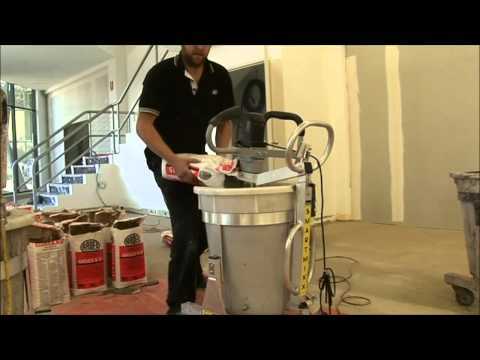 We had a large student accommodation project that required over 2000 bags of floor leveller, the Mixing Station did it with ease. Since then, it has been utilised on most of our jobs both large and small. It saves time and makes us money! It Has definitely made our live’s easier! The Makinex Mixing Station MS-100, previously known as the SmartMixx, is the ultimate mixing solution for self-levelling cements, compounds and epoxies, producing a perfect mix every time. 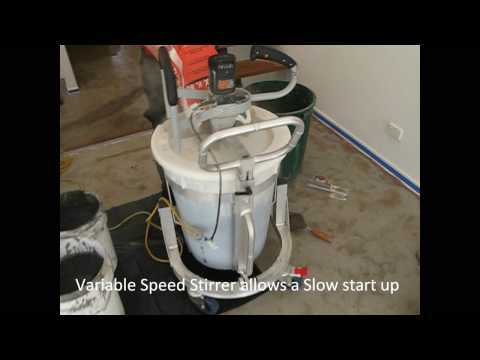 Designed by Contractors for Contractors, this portable station provides efficient hands-free mixing and enables fast precision pouring of materials. The station is suitable for various Stirrers/Mixers including the Festool MX1600 Mixers are optional and sold separately. (Please contact your retailer for more information on other suitable models). How much material can you mix in the Mixing Station? 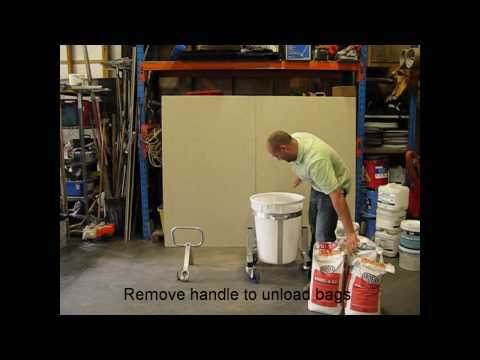 You can mix up to 100KG (4/5 bags) with the Mixing Station. "With the Makinex Mixing Station an 8 hour job was finished the in 2 ½ hours with one less staff member than I would usually use. The Makinex Mixing Station is a definite goer for this industry." "The Makinex Mixing Stations we purchased from Makinex have been used hard for the last three months and all I can say is please send me two more! Our guys are fighting over the three stations we have. The guys love how easy it is to mix two or three bags at a time and easily roll out to the floor and pour without any stress or strain. A two man mixing crew with three stations can keep material coming faster than four guys can rake and smooth on an average pour. My boss loves the dramatic increase in productivity and reduction in labour costs over standard bucket pour procedures. By cutting back from a three to two man mixing crew we are saving up to eight hours of labour every time we pour, as well as covering larger areas with fewer cold joints. Thanks for the great product!" 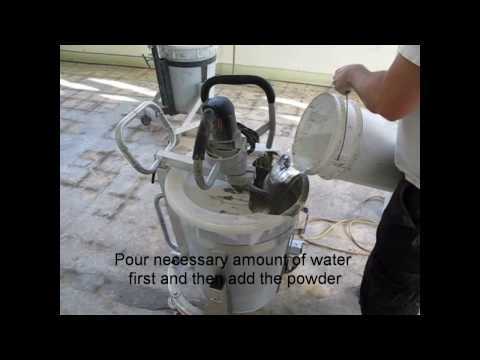 "I’ve used the Mixing Station to install TRU, Ardex, Stampcrete,MiraCote, FossilCrete, Mapei and pretty much everything else I use for decorative concrete. I initially purchased the MS-100 to do a polished TRU job which was 3000 sqf. I was left in a bind. I coordinated 6 men for two days to get it poured. I quickly found out in a couple of hours that the entire project was going to be done in about 5 hours or so and I really only needed 2 helpers and myself. We were able to mix 3 bags every 5 minutes with consistency right out of the box. Wall studs were up, sliding doors and floor drains installed, conduit every where. Didn’t matter. We just mixed and poured exactly where we needed to be with virtually no clean up! Thanks to the MS-100, total job time from prep to clean up has been reduced by 25%." "We purchased the Mixing Station about 2 years ago and it paid for itself on the first job.